I'd completely forgotten about this until I was rummaging through my concealers to cover an unexpected out break of spots! And I've fallen back in love with it. The coverage is medium but build-able - it covers blemishes, dark circles, pigmentation with absolute ease. The formula is light and creamy, it blends out so seamlessly and looks natural. It stays put all day too, without looking cakey, or cracking. It's just amazing! Another concealer I find myself reaching for when I want seamless full coverage is this. It's not like any other pot concealer I've tried before. The formula is light and so blend-able. It offers full coverage but can also be sheered out to something more natural. Like the Urban Decay concealer it works on everything. The finish is also very natural, it has a really natural skin like finish that isn't matte or glowy. Because this is in a pot it's super easy and convenient. It's also great for touch ups on the go. 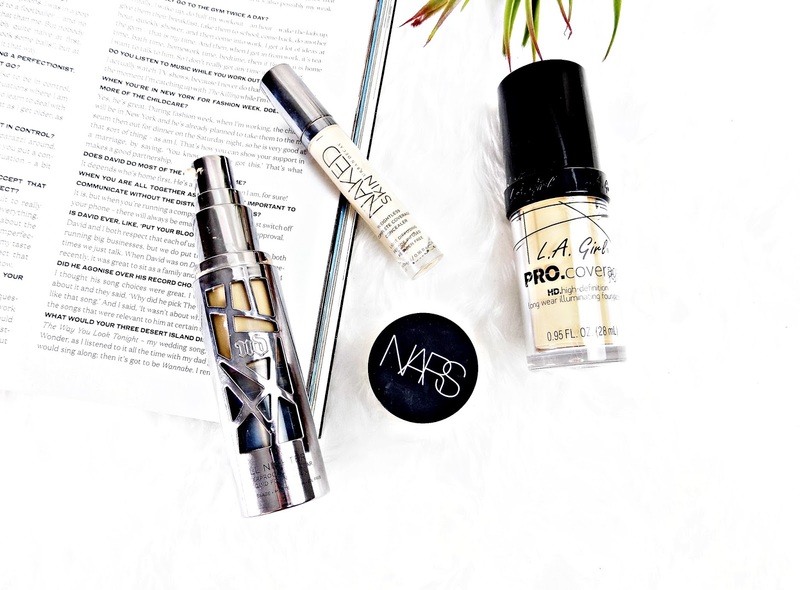 NARS have a winning formula in this concealer. I think I may have found my holy grail foundation! This super affordable option has everything I want in a foundation - it has full coverage, the finish is dewy, it looks natural, lasts all day and is super easy to blend! Having dehydrated skin means I struggle to find full coverage foundation that aren't too drying or cling to dry areas but this ticks every box. If you like dewy full coverage foundation then look no further! This is probably the most full coverage foundation I own. When Urban Decay say full coverage, they aren't messing around! It covers everything, without any need for concealer. But the finish isn't cakey or unnatural. It has a matte but not flat finish. The texture of the foundation is quite thick but it blends out quickly and easily. The wear time is incredible to, It stays looking flawless all day. Plus this is one of the only full coverage matte foundations that works on my dehydrated skin. There's my full coverage favourites I reach for when my skin is not looking its best.